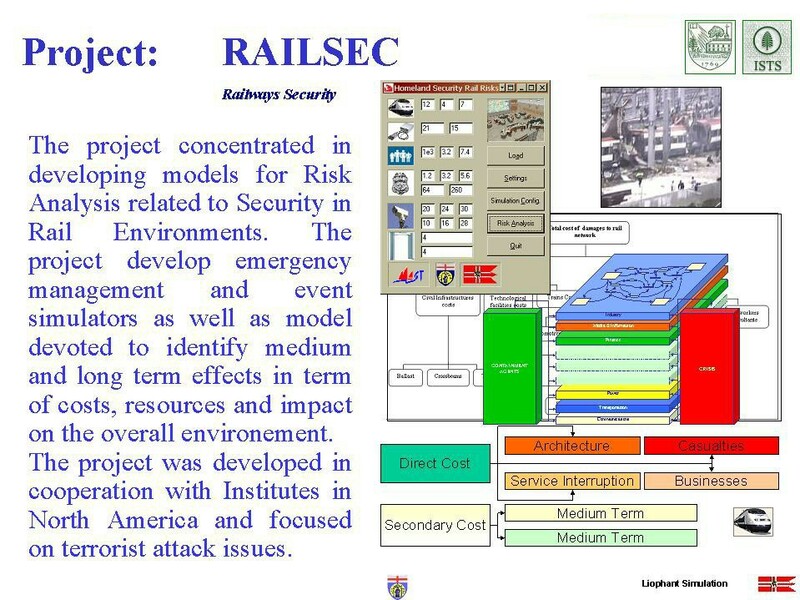 The project concentrated in developing models for Risk Analysis related to Security in Rail Environments. The project develop emergency management and event simulators as well as model devoted to identify medium and long term effects in term of costs, resources and impact on the overall environement. The project was developed in cooperation with Institutes in North America and focused on terrorist attack issues.